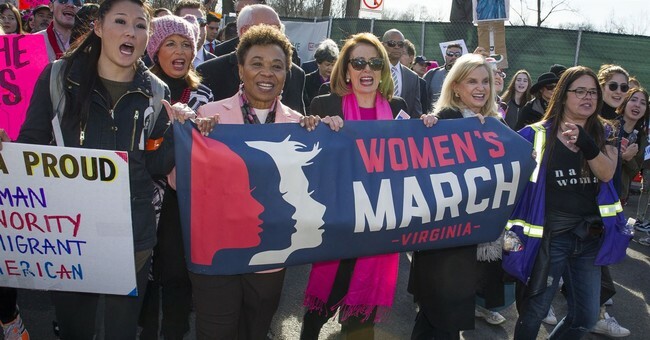 The Women’s March prompted a lot of criticism Wednesday when they tweeted that white women need “accountability and an honest reckoning” after majorities of them voted for Republican candidates in the midterm elections. Many conservative and pro-life women took offense at the organization’s condescending tone and highlighted some of the reasons they chose to vote Republican. Actress Patricia Heaton highlighted the abortion issue as a reason many women chose to vote for the pro-life, Republican candidates the group had cited in their tweet. Obianuju Ekeocha, a Nigerian biomedical scientist and the founder of Culture of Life Africa, a U.K.-based pro-life group, called the group out saying they shame “white women for their politics and dare to tell them how to vote." They shame white women for their politics and dare to tell them how to vote?? Women for Trump chair Amy Kremer wondered if the group celebrated any of the historic firsts for Republican women such as Marsha Blackburn becoming the first woman to represent Tennessee in the Senate. Dana Loesch pointed out that Women’s March co-chair Linda Sarsour once threatened Ayaan Hirsi Ali, a victim of female genital mutilation. Writer Chloe Valdary pointed out the group’s ties to anti-Semitic Nation of Islam leader Louis Farrakhan. The group has a history of using a threatening tone with women who they think will vote for Republicans. In October, the organization's co-chair Tamika Mallory told supporters at a rally that “white women were laughing” when President Trump appeared to mock Dr. Christine Blasey Ford, the women accusing Justice Kavanaugh of sexual misconduct.